At this time gift certificates are redeemable in store only. We can not accept gift certificates as payment for online purchases. 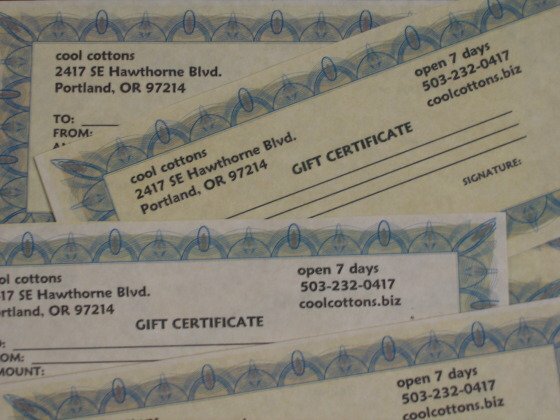 The mailing cost for individual gift certificates is $1.00. The shipping charge will be adjusted at the time the order is filled. If we are emailing confirmation and not mailing out the actual certificate choose OREGON as state and STORE PICK-UP as shipping option so as not to be charged shipping. The recipient will then be able to pick up the certificate at the shop.